The Hotel Ralais Tenuta San Pietro is the ideal location for your wedding in Toscana. Lucca countryside will be the background to the most important day of your life, among the green hills and the winegrapes and olive trees rows, into a bucolic atmosphere but few kilometers far from Lucca. The rooms of the Hotel and of the Restaurant are able to accomodate up to 140 people, outdoor or indoor, with the beautiful panoramic terrace, the restaurant, the swimming pool, the wine cellar and the tasting room. 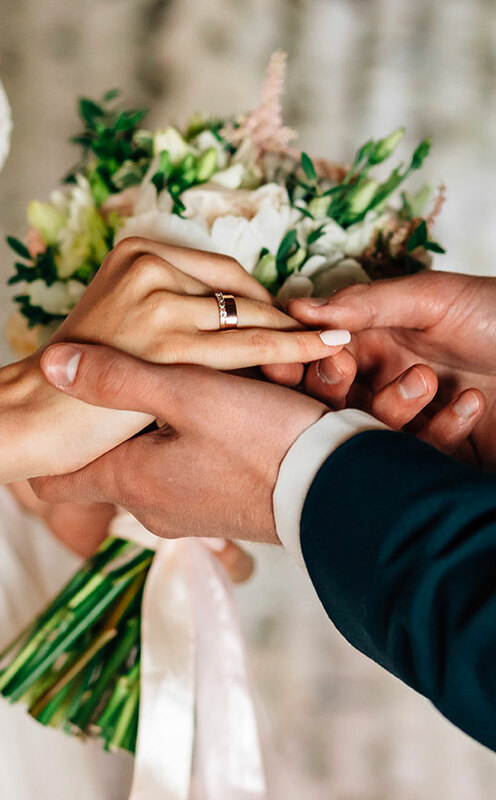 The Tenuta has also the license for civil marriages, which gives the possibility to celebrate your marrage here, immersed in the green of an axclusive, elegant and idyllic place. Your civil wedding ceremony, but not only. Thanks to our expert Wedding Planner and our Chef Gabrio Dei, you will have an unforgettable wedding banquet, adaptable to your demands and to your guests needs. There are various different solutions at the Hotel Relais Tenuta San Pietro: the splendour and the exclusivity of a place in close contact with nature, an excellent gastronomic restaurant, the experience of our qualified staff and a stunning landscape. Once united in marriage, why not take the advantage of spending the honeymoon in the heart of Tuscany? Tenuta San Pietro offers the possibiltiy to the spouses and to their closest guests to use the two Suites and the eight rooms, Luxury and Superior, with view on the valley. You can decide to spend a day in our property, with a relaxing massage or an aperitif on the terrace, or you can take a trip to Pisa and Florence for a day dedicated to arts and culture in these important centers, which are only few kilometers far from the Tenuta. We invite you to come and visit us, it will be a pleasure to show you the whole hotel, the rooms, the suites and the swimming pool.